In order to download a video from youtube you need a specific online tool. 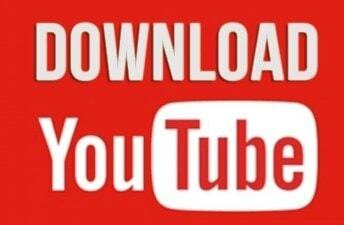 Even though youtube has an offline download option for videos, people still prefer downloading youtube videos from the online video sharing giant. Also the offline download option only works for those who have an account on youtube and the video retains in your youtube downloads only and not in your hard drive. In this article I will tell you how to download a video from youtube using clipconverter. Clipconverter is a online video downloading tool that allows downloading of audio and videos from YouTube, Vimeo, Facebook and many others. Inorder to download a youtube video, you need to copy its URL first. After copying the URL, open Clipconverter.cc. In this website you will see the following options for this copied URL. Paste Video URL in the box as shown. After that select the format for your video. Since I am downloading a video from youtube, I will select MP4 format. After you click this, several other options will appear. Use these options as you like. Afterwards press continue. The video quality options for download will appear. Choose the best video quality for your video according to your preference. Your video's name will appear in File Name. Finally click Start. Your video will start converting. After your video's been converted, simply click "Download" to start the download. Now you know how to download a video from Youtube using Clipconverter. I hope this article helps you. Don't forget to follow my blog Ali Khan Blogs on facebook & Twitter.